The Marvel Cinematic Universe goes cosmic! 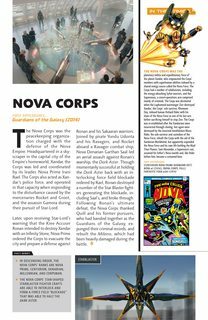 Our comprehensive coverage of the fan-favorite Marvel Studios films and Marvel Television shows continues as we reveal everything you need to know about Peter Quill and his unlikely band of galactic heroes! 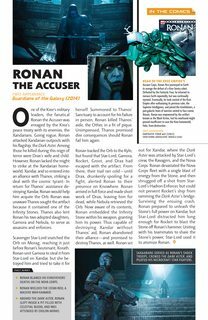 Featuring fact sheets, movie-to-comic comparisons and behind-the-scenes production art and stills, this issue is packed with profiles and updates on the Guardians themselves: Star-Lord, Drax, Gamora, Rocket and Groot; uneasy allies including Yondu, the Collector and the Nova Corps; and deadly foes including Ronan, Nebula, Korath and Thanos! Plus: the Orb, the Infinity Stones, Knowhere, Xandar, Bereet, Cosmo…and Howard the Duck! 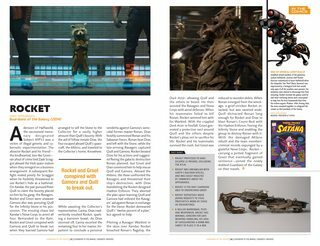 Relive the thrills of Marvel’s Guardians of the Galaxy, and continue building your indispensable library of Cinematic Universe reference books!